As far as I know, the Integrated Reasoning Pill is the first set of comprehensive instructional videos for this new question type.  Like GMAT Pill’s other video sets, the IR pill has a lot of material – 12 hours of new video content. Combined with the rest of the course, that makes the GMAT Pill about 42 total hours of instruction. I’ve spent some time watching the new videos this week, and I’m impressed with the both the quality and scope of Zeke’s teaching. He’s clearly spent a lot of time developing methods for solving each of the four IR question subtypes, and he wants the student to have a thorough understanding of his problem-solving techniques. This explains the extensive runtime of the videos. Twelve hours is definitely a lot, but an in-person class would likely spend 6-9 hours on IR. The advantage of the GMATPill, of course, is that the videos can be watched anytime at your convenience. The company has also just launched an iPad application, so the complete video set can be purchased and downloaded through the Apple app store. If you chose this option, you wouldn’t need an internet connection. The free GMAT practice questions (called the “Practice Pill platform) are an area where the company really innovates. 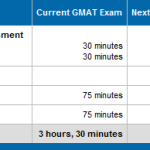 Right now, if you just register on the site, you can access about 60 practice questions of each GMAT question type. Since there’s 6 question types now, that’s about 360 overall practice questions. The really cool thing about this platform is that it displays the % of users that got each question correct, so you can judge the difficulty level. It’s likely that if only 40% of people answered correctly a question correctly, then it is a 700-level question. In my original review, I discussed who I thought the GMATPill would be good for. It’s great for GMAT students who want directed self-study. If you’re self-motivated and disciplined, but need an overall expert guide to cover all the important material and teach the best problem-solving techniques for each question type, then the GMAT Pill is a good idea. Keep in mind that you do have to watch all the videos and pay attention to really absorb the material. Since my original review, I’ve communicated with Zeke through email about small suggestions for improving the course, and he’s always been very responsive. He actually has a 50-point score improvement guarantee, which is impressive for such a small company. There is a $40 discount if you buy through this link and use promo code TUTORME40. This package includes the new Integrated Reasoning pill. 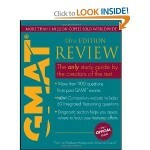 Overall, I am impressed that GMAT Pill continues to develop and update their product. Some of their innovations like the Practice Pill platform and the iPad application are features that I’d only expect from larger, VC-funded companies. As an entrepreneur running a small business, Zeke has shown that there’s an advantange to being a small, digital company which can quickly respond to changes on the exam. Do you think that this section of the exam can have proper coverage after only being published for a month? Fair question. The new IR content is based on the official practice questions that have been released by the GMAC. So it’s likely that the new material is as accurate as it could be at this time. As more people take the new GMAT, we’ll find out how well the practice questions from the GMAC reflect the real exam, and how helpful the GMATPill IR section is.